Please help us ($10 at a time) meet our challenge opportunity provided by Robin Tauck of the TRIP Foundation. If we raise $2500 by July 23, we will receive a further $2500 from the Foundation towards the cost of our new Cultural Alliance & FCBuzz website.This match will enable us to complete and launch the website by late July. UPDATE: With 25 days to go, we are 28% of the way ($693) with $1,807 still to raise. That's $70 a day. Please help! Thanks to the 11 who have helped so far. Nancy Breakstone, Heidi Lewis Coleman, Susan Fehlinger, Susan Leggitt, and Kris Toohey all are featured in the Rowayton Arts Center's Marine and Coastal exhibition, opening with a reception Sun. July 1, 4-6 pm. The Chair of the exhibition is Sandy Mills (Norwalk), Co-chair is Elaine Pagano (Rowayton). The Judge is art instructor and award winning artist Will McCarthy. 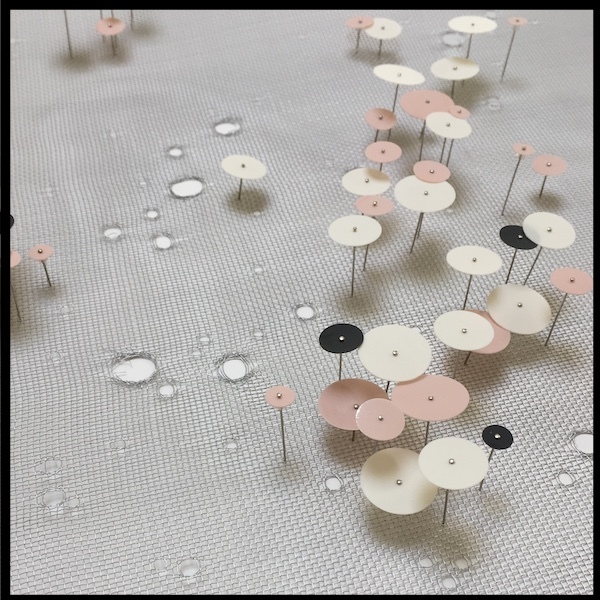 Elizabeth Agresta, Yuko Ike, Heidi Lewis Coleman are three of the artists in Summer Time, a group show opening with a reception Sat. June 30, 5-8:30pm at the GR Art Gallery (1086 Long Ridge Road in Stamford). A new member of the Cultural Alliance, the GR Art Gallery is a theme-oriented contemporary art gallery, open to all ideas and techniques. Congratulations to Elizabeth Hasegawa Agresta for the award received a 2018 Skipping Stones Honor Award for the picture book, I’m Mixed!, which she illustrated. Written by Maggy Williams, it was released Feb 14, 2018 by Loving Healing Press, and is available in hardcover and paperback. The story takes as its subject a young girl who has a black father and a white mother and encourages children to embrace their appearance without labeling themselves as one race or another. Suzanne Benton will present one of her mask tale performances to mark the closing of the Odetta Gallery's show Curmudgeon at 229 Cook Street, Brooklyn on Sun. July 1, 4:30 pm. Suzanne attends to current realities by reconfiguring ancient text and sacred tales. At Odetta, she'll share a sampling of Mask Tales created during fifty years of global outreach, closing with a prophetic voice on the American Tragedy. This multidisciplinary artist has shared her mask practice throughout the USA and 31 countries worldwide. 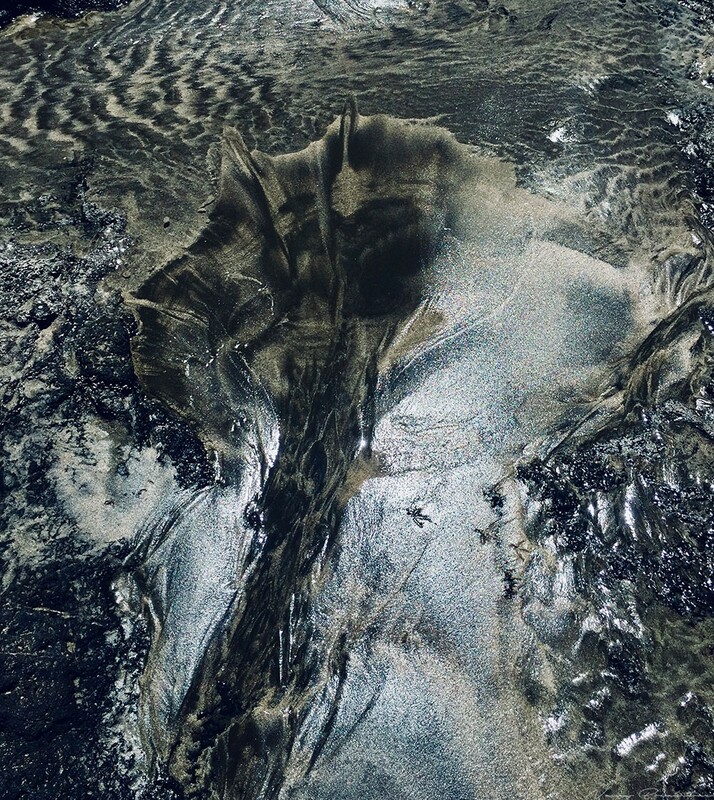 Nancy Breakstone, will be showing her photograph Receding In The Sand (digital photograph, 18x26, detail at right; click for complete image) at the Rowayton Arts Center's Marine and Coastal 2018 Exhibiting Members Show, opening with a reception July 1, 4-6pm and running through July 29. She will also be showing two of her photographs at the Rene Soto Gallery in Norwalk, June 30-July 28, opening reception June 30, 6-10pm. She also has a solo show of her photographs at Pour Me Cafe in Danbury July 9-Sept. 14, with an opening reception July 25, 5-7pm. All these works are from her Impressions In The Sand series. Ann Chernow has an exhibition of paintings at the the Norwalk Community College East Wing Gallery, 259 Richards Avenue, Norwalk. At right is a detail of Ann's Beach with Dog (oil on canvas, 20x16). Click for larger image. Penrhyn and Rod Cook's African Photographs will be on exhibit at the New Haven Lawn Club, 193 Whitney Avenue, New Haven, from June 26 - August 26th with an opening reception on Tues. July 10, 5-7pm. Viewing hours are from 9:00am - 5:00pm. 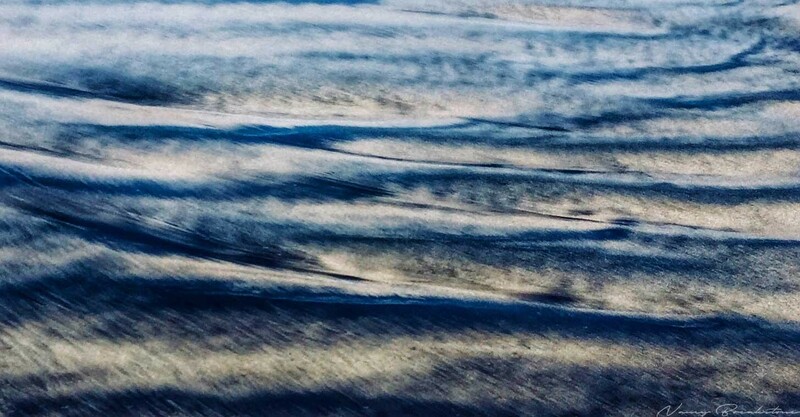 At right Wildebeest at Sunset (2017, 24x36, detail). For other work in this series, click here. Joseph Dermody's solo pop-up show, A Piece of the Puzzle, held during the Stamford Artwalk, in a vacant retail space at 168 Bedford Street, Stamford, between Stagecoach Olive Oil store, and Russ Hollander Goldsmith, is being extended through Sun. June 30. You can visit 5-8 Friday and 12-7 Saturday and Sunday. 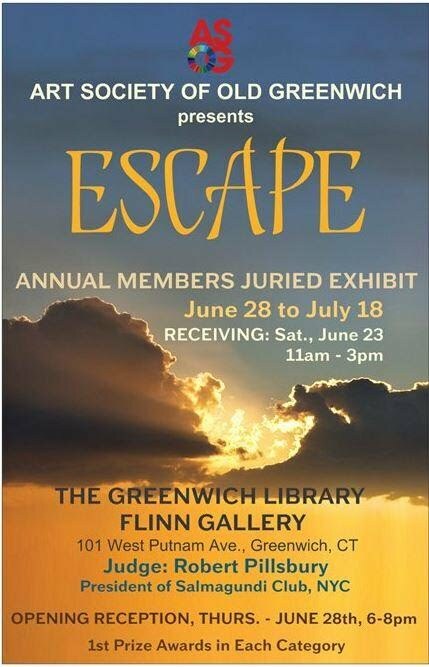 Carol Nipomnich Dixon has her embroidered collage Beach Day juried into the Art Society of Old Greenwich’s exhibition Escape being held at the Flinn Gallery of the Greenwich Library June 28-July 18, with a June 28, 6-8 pm. reception. Beach Day, 13” square framed, was created a couple of years ago and incorporates photo fragments taken at Greenwich Point with color-related embroidery. Congratulations to Susan Fehlinger for winning Best in Show at the Rowayton Arts Center's Marine and Coastal exhibition, opening this Sun. July 1, 4-6pm. 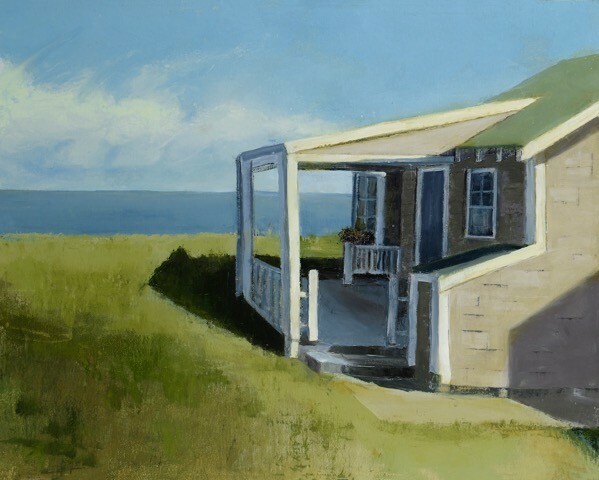 Susan's winning piece is Beach Cottage (2018, oil on canvas, 30x24, detail at right). Susan will also be giving a talk on her work in the exhibition The Delight of Plein Air, at ArtWORKS, St. Paul's on the Green, Norwalk. The talks will take place Sun. July 1, 12:30-1:30pm. Joanie Landau's 4 x 4, will be at the 83rd Annual National Exhibition of the Cooperstown Art Association in Cooperstown, NY. Opening night is July 13, and the show runs through August 17th. Joanie says "this piece is a part of my abstract series Unplugged, in which I tap into my lifelong fascination with music’s raw emotional power." 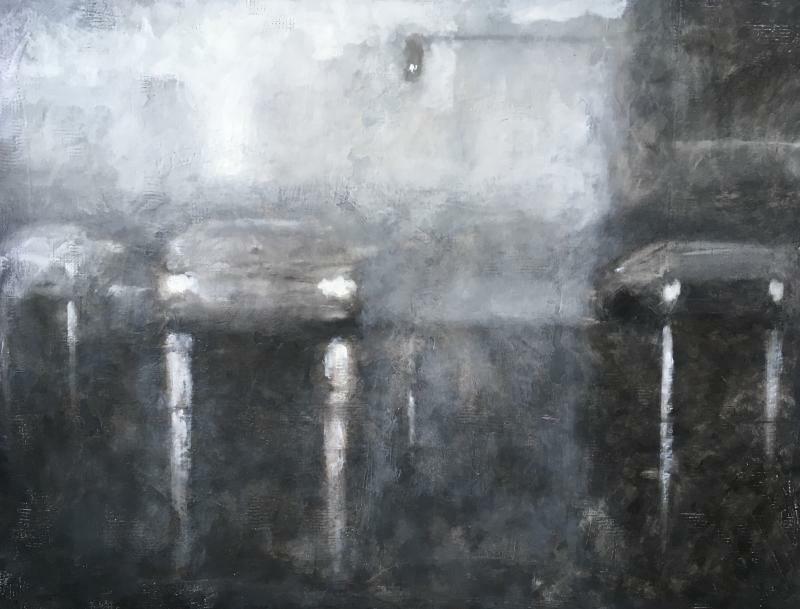 Shelley Lowell has a solo exhibition of her paintings and poetry, Art as Messenger, at Brookfield Town Hall, July 9 - August 29, with an opening reception Fri. July 13, 5:30-7:30 pm. Shelley will give a special reading of 8-10 poems during the reception. The exhibition of 38 paintings with their poems will be on the first and second floors of the building. The work is part of an ongoing series that began in 2004. Shelley says the show is titled Art as Messenger because the paintings and their associated poems have messages from nature to humanity. Peter Mendelson has a solo show of his photographs at the Gallery@Pearl at the Pearl at Longshore restaurant, opening Tues. July 10, 5-7pm. At right Amalfi Beach Club Umbrellas I (detail; click for complete image). From the gallery: "Whether taken during his visit to the Neon Boneyard in Las Vegas, his explorations of Miami Beach and the Maine coast, or even during commutes to and from New York City, his photographs focus on those things that are often overlooked or abandoned, but which reward their viewers when given a second, deeper look." Jay Misencik is co-curating with Gus Moran and Geralene Valentine, an exhibit of work by The Dyslexic Jazz Doodler, James B. Garamella at the Easton Library, 691 Morehouse Road, July 5th through July 31st. Opening reception is Thurs. July 12, 6-7:30pm. Writes Jay: "In grammar school when everyone picked up their pencils to write their “ABCs” and their “123s,” Jim picked up his pencil and started doodling. He did not recognize his doodles as art until 2008. Jim’s dyslexia was not diagnosed until late in life. He always said, “My art is my salvation.” At right, his Hooters. Nancy Moore, whose Wonder Girl won the Juror's Choice Award in the Nor'Easter exhibition at the New Britain Museum of Art, has had her piece, This Is My Binder, (polyester chest binder and silk thread, at right) accepted into SIGNAL, a show of tri-state artists, at The Katonah Museum of Art, juried by Lumi Tan, curator at The Kitchen, New York. The exhibition opens Sat. June 30, 5-8pm with a Party in the Garden, with music by The Dennis Collins Trio, 5-8pm. 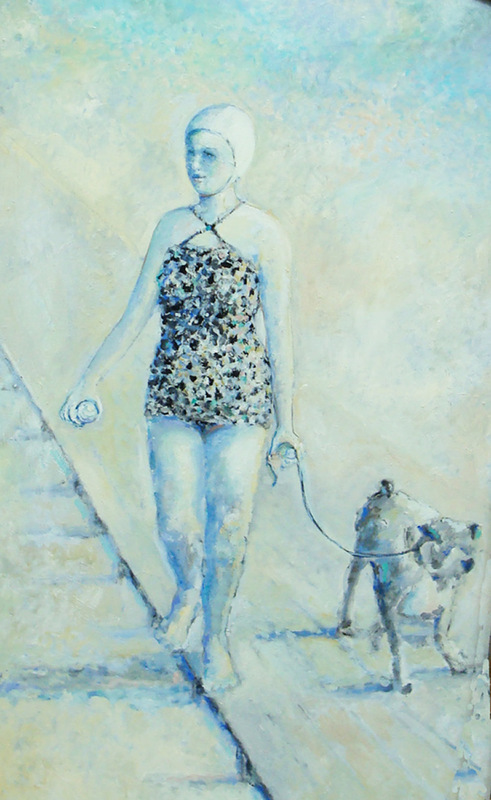 Tues. July 10: Peter Mendelson, solo show, Gallery@Pearl, 5-7pm. Tues. July 10: Penryn and Rod Cook, African Photographs. New Haven Lawn Club. Opening Reception, 5-7pm. Yale-New Haven Hospital Auxiliary seeks Connecticut artists to exhibit their work in 2019 at the “Art Corridor” located at the Saint Raphael campus (1450 Chapel Street, New Haven). Twenty-four artists will be selected, two are paired for a one-month-long show. If possible, one painter and one photographer are selected, or two different types of art forms, e.g. stained glass. Accepted media includes: painting, photography, drawing, collage, print, mixed media, pastel, framed textile, wall hung sculpture and stained glass. Interested artist please submit 3-5 jpg images of your work for committee selection. Artwork requirements: All art must be prepared with wire to hang securely on the hospital’s hanging system. Pricing should not exceed $1,000 but higher priced work will be considered. Sales will be managed by the YNHH Auxiliary, a volunteer organization that supports the Hospital’s mission thru fundraising projects, volunteerism, community outreach programs. The Auxiliary was founded in 1952 and has contributed over $5 million dollars to support the Hospital’s programs. The Art Corridor has supported area artists for over 20 years. Twenty-five percent of all sales will be retained by the YNHH Auxiliary to help fund hospital programs that support patients, families and community and seventy –five percent of the sales goes to the artist. To learn more about the mission of the Auxiliary, click here. To be considered, please email samples of your work to janesnaider@gmail.com by July 7, 2018 (extended deadline). The Cultural Center of Cape Cod invites photographers, amateurs and professional the world over, to submit images to its online competition, FAUNA. Wildlife photography aims to capture a one-of-a-kind look at the wonders of the animal kingdom. Embrace the wilderness, with animals as the subject in their most powerful, raw, vulnerable, and natural form. Show us FAUNA through your perspective, any all all methods of capture and process are welcome. All winners will be displayed in their online gallery at www.cultural-center.org For a full prospectus, click here. Entry for FAUNA is made through Cafe, a web-based service that allows artists to upload images and organize their artwork for submissions to galleries. To apply, you must leave our website and to to the Cafe website at www.callforentry.org where you can create a FREE artist account. You will add your details and upload your images to Cafe and then you can submit your work to FAUNA. Fees: $20 for first entry/$5 for each additional entry. You may enter up to 20 images. Payment is non-refundable and does not guarantee acceptance. Prizes: First Place $500, Second Place $200 and Third Place $100. The Cultural Center directors will jury. Downtown Market Stratford! is a juried crafts, art, and jewelry show accompanied by music, activities for children, and theater. It takes place on Sun. Aug. 26, 2018, on the Colonial Square Parking Lot, 2420 Main Street, Stratford, with easy access from exit 32 off I-95. Free parking for the show is available at Stratford’s railroad station.The show, in it's third year, is sponsored by Stratford’s Economic Development Commission, Stratford Arts Commission, and the Stratford Historical Society. One section of the show will be devoted to 18th Century crafts and art. The 2018 Downtown Market is a juried show, with qualified artists from the Coastal Arts Guild jurying the show. There will be no jury fee this year. Only handmade crafts will be admitted. No mass-produced, imported, kits or non hand-made crafts will be accepted. Based on the artwork submitted, applications will be judged based on the following criteria: creativity and originality of the work; quality of artistic design; overall salability of the art; craftsmanship; price point; and presentation and photos. Currently, no more jewelers accepted. Submit application and photos by August 15, 2018. This is an extended deadline. Photograph resolution of your craft must be a minimum of 1000 x 1000 pixels, and may be higher. If you are selling more than one kind of craft, a separate application must be sent for each medium. We reserve the right to accept one medium and not another. Further instructions and application form here. The Agora Gallery (630 W 25 Street, New York) is a contemporary art gallery dedicated to the promotion of national and inter-national artists seeking exposure to the New York art market. The Agora announces its 2018 Latin American Contemporary Fine Art Competition, which is an ideal way for Latin American artists to gain valuable exposure for their artwork and to exhibit their talent to a wider international audience. It is also an excellent opportunity to foster their talent and develop the résumé of a successful professional artist. With a distinguished panel of jurors and more than $55,000 in valuable prizes, The Latin American Contemporary Fine Art Competition is an event not to be missed. The competition is open for Latin America, the Caribbean, and the Latin American diaspora at any stage of their careers. Artists are invited to submit in any of the following mediums: painting, sculpture, photography, drawing, mixed media, and print. Art submitted to the competition will be reviewed by a rotating panel of expert jurors, each representing a different field in the art world, ensuring a fair and balanced selection process. With an entry deadline of August 15, the competition's results are announced Sept. 13, and the exhibition is held Dec. 5 - 15, 2018. Enter the competition here. The Socially Relevant Film Festival (SRFF), New York, is now accepting submissions for its 2019 Film Festival. SRFF is a non-profit film festival designed to shine a spotlight on international and local film-makers who raise awareness of social issues, in response to the proliferation of violence and violent forms of storytelling on screen. SRFF believes that through raised aware-ness, expanded knowledge about diverse cultures, and the human condition as a whole, it is possible to create a better world free of violence, hate, and crime. The mission of the Festival is to spotlight filmmakers and their films that tackle the social and environmental issues of the day without relying on gratuitous violence, special effects, loud soundtracks and sensationalism to draw in an audience. The festival supports its filmmakers beyond the weeklong festival, as it showcases the selection films in other venues and at the Cannes Film Festival Doc Corner. SRFF has screened an international slate of 206 films from 35 countries since its inception in 2013. Submit tour entry via Film Freeway here. All professional artists are invited to participate in the Open Call for Mini-Prints, a newly established recurrent exhibition arranged by Galleri Heike Arndt DK in Berlin. By participating in this print exhibition, artists are given the opportunity to exhibit their work in the gallery. It is the perfect opportunity to develop your network within graphic art connecting you to many Nordic and German-based artists. All multiple printmaking techniques are welcome. Size of the print (including signature): 30 cm x 30 cm (max). 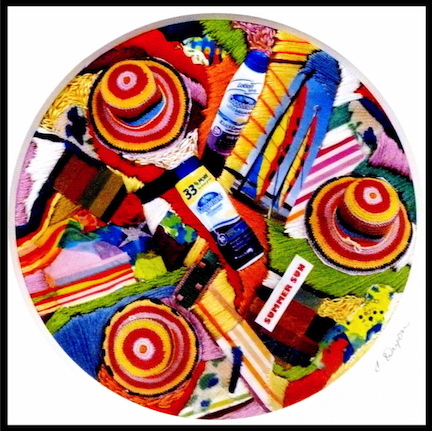 Size of paper: 40 cm x 40 cm (max). Each artist can submit 6 prints max. There is no submission fee, but the artists are alone responsible for the packaging and shipping costs of the prints, if accepted, to and from the gallery. Only if you are accepted for the exhibition and have passed the 3 selection rounds and asked by staff by mail to send your work, do you send your prints in good condition and unframed to the address supplied. To apply, complete the application form here. The Tech Museum of Innovation ("The Tech") is a family-friendly interactive science and technology center located in the heart of downtown San Jose, California. The Tech+Arts Incubator welcomes proposals for participatory digital art projects that will be produced in collaboration with some of the world’s most innovative tech companies, (Adobe, Dolby, Facebook, GIPHY, HTC, VIVE, Lightform, Mozilla, Plantronics, RESONAI, Rokid, and Zoom) and be hosted at The Tech Museum of Innovation. The Incubator awards grants of up to $50,000. Applications will close on July 15, 2018. The Tech is looking for creative practitioners with a clearly-defined project that demonstrates novel ways of thinking, expressing and creating with technology. Proposals must fall into one of our focus areas and utilize one or more emerging technologies listed below: Immersive Technologies, Computer Graphics, AI, and Adaptive Sound. Preference will be given to artists who can demonstrate a high level of technological knowledge/skills and can provide evidence that illustrates the feasibility of the project from a technical perspective. Applications are open to individuals and collectives located anywhere in the world. Applicants may request a grant amount up to $50,000. All costs included in the project budget must be expended during the period of support. Applicants may include fees for their own time and/or creative effort up to $25,000, but total costs — including these fees as well as fabrication, equipment, travel, lodging, etc. — will not be reimbursed beyond $50,000. Apply here. The Guilford Foundation/Guilford Performing Arts Festival Artists’ Awards competition is underway. Two awards of $2,500 each for a new work in music and drama are being offered to professional Connecticut artists and companies. Created to assist artists in the development of new work, the awards may be used for travel, research, writing/ composing, etc., but not for education. The Guilford Foundation is dedicated to enriching the quality of life in Guilford. It connects "people who care with causes that matter to them." A public foundation, it makes prudent grants that serve the community. In 2017, the Guilford Foundation provided a generous grant to kickstart the Guilford Performing Arts Festival. A multi-day biennial event, the Guilford Performing Arts Festival show-cases the work of Connecticut professionals and amateurs from a variety of the performing arts, bringing them together to provide free performances and instructional workshops. In addition to the $2,500 award, each winner of the competition will receive one performance date during the 2019 Guilford Performing Arts Festival, documentation of the performance, rehearsal time on an assigned stage, and the services of two technicians, e.g., deck hand, lighting, sound, etc. Consideration will be given to all musical genres for the music award while all spoken-word compositions will be considered for the drama award. Musical theater works are eligible under the music award. All interested performers must submit an online application by August 14, 2018, here. In addition, they will be required to submit audio and video work samples. Winners will be announced in September 2018. If you have questions, email awards.guilfordpafestival@gmail.com. The John D. Mineck Foundation was created in 2007 to award charitable and educational gifts, which reflect John Mineck’s interests and values. His skills as a fine furniture maker were a result of passion, dedication and the guidance of a well-known furniture artist. Without that guidance, he would not have realized his capabilities. In an effort to support the art that Minek loved and the people who make it, the Foundation has created a fellowship to encourage and support a young-in-career furniture artist with the financial assistance to help him/her succeed in his/her journey. The fellowship has been designed to help support a talented furniture artist looking to fulfill an apprenticeship, develop his/her own skills, and/or make the transition to independence. The John D. Mineck Furniture Fellowship of $25,000 is awarded annually to one artist and is administered by The Society of Arts and Crafts. The fellowship will focus on furniture makers whose work is contemporary and functional, and artists who live and work in Northeast United States. Traditional and sculptural furniture makers as well as candidates from other regions in the United States may be considered. The following criteria will be considered in evaluating applications: Quality of the artwork, strength of vision, and a portfolio that evidences growth beyond school or university work; Artwork and résumé demonstrating perseverance and commitment to artistic career; The strength and feasibility of the fellowship proposal; Applicants must be at least 18 years of age at the time of application; Artist collabor-ations will be considered; Currently enrolled, full-time students are not eligible. For full application details, and to apply, click here. For over three decades, Caroll Michels has worked as an artist and career coach, advocating for and teaching fellow creatives how to develop and sustain their careers. Artsy recently excerpted a section from Chapter 11 of her newly revised book, How to Survive and Prosper as an Artist, Seventh Edition, focusing on alternative avenues artists can pursue to generate income, without straying too far from their own art practices: "Over the years various studies have been conducted focusing on the demographic and employment patterns of artists, including their median income. Unfortunately, the studies tend to lump together fine artists who do self-generated artwork with gainfully employed commercial artists and freelancers who are doing art-related assignments. Without this distinction, it is difficult to get a clear picture of the economic status of what is going on. Being able to support yourself as an artist, and maintain a high-quality life through finances generated from your artwork, can and does happen all the time. But rarely does it happen overnight, and realistically, until your career gets rolling, it is necessary to earn a living through other means. This chapter covers the assets and drawbacks of conventional jobs, and it discusses some ways of generating income within the fine arts field. Assets and drawbacks of conventional jobs: To solve the problem of supporting yourself as an artist, you must take into account your financial needs and emotional and physical capabilities. Whether the options suggested in this chapter are appealing or you prefer traditional forms of employment that offer more financial security depends on your temperament, personality, and energy level. What works for one artist doesn’t necessarily work for another. But the common goal is to generate income that simultaneously allows you to have the energy to work on your own projects and develop your career, maintain good health and a healthy state of mind, and afford a good standard of creature comforts. However, in the name of art and the “myth of the artist,” compromises and sacrifices are constantly made. Before jumping into employment, assess carefully and honestly what you are looking for and why. Does the job provide a real means to an end, or is the job likely to annihilate your end? For example, two of my clients took jobs with art service organizations. Both jobs provided the artists with sufficient income as well as opportunities to meet people related to their profession and expand contacts and networks. One job involved low-pressure, routine duties. Although the artist was not mentally stimulated, she had energy to sculpt and work on developing her career because her job responsibilities were minimal. The other job was full of responsibilities. It was demanding and stimulating. Although the artist found the work fulfilling, at the end of the day she was drained, and on weekends she found herself recuperating. Consequently, she did not have any energy left for her artwork. If you want to work within the arts, there are some good resources available." See the rest of Artsy's extract from Carol Michel's book here. In response to the thousands of applications it sees every year, Creative Capital decided to ask Alex Teplitsky to write about some basic rules to think about when submitting work samples to make your application as strong as possible. Click here for the whole article - highlights below. Acknowledging What Work Samples Do: Remember, in a single day, an evaluator may be looking at 100+ different projects, many of which may be addressing similar issues or share aesthetic similarities. The evaluators want to give their full attention to your project, so choosing great work samples can help them do that. Your entire application—including words, images, audio, and video—is an exercise in persuasion. You want to prove to the granting organization that they would be missing out by not joining you on your extraordinary creative journey. Great work samples will help make this happen. Documentation is Key: Always go the extra mile to obtain great documentation of your work. Hold yourself to the same high standards that you hold in your art practice. Don’t submit a performance video if you can't clearly hear the speakers. For performing arts especially, working with videographers, editors, and boom mics can get expensive, but if it means getting the big grant, it can pay off. Or, work with a colleague who can trade trade skills. For judges who don’t know you, your work sample IS your work, so, make sure it’s the best representation of it. What If No Work Samples Exist for the Project You Are Proposing? In this case, you can use previous work samples to help the judges imagine what your future work will look like. These should build a bridge between what you’ve done and what you propose. But don't assume the judges will make the connection: make the connections for them by describing the work. Describe how past work connects with future projects. Get Feedback Before You Submit: It's always helpful to show your work samples to friends or colleagues before you submit. Choose someone who knows your work, as well as someone who has never seen it. Discuss their perceptions of the project. You may be surprised to learn that others see something completely different. Choose Recent Work Samples: Try to submit completed work from the last 5 years to give judges a sense of what your current work is like. If work samples are too old, it looks like a gap in your resume. Finished work is best, but work-in-progress is OK if it makes the best case. Organizations will want to see some fully produced work. Drop Evaluators into the Action: For time-based works, the first few seconds/ sentences are crucial. First impressions count! Drop us into the action. In any review process, your project is not the only sample being reviewed. Hold the judges' attention. Do not submit trailers, a reel of greatest hits, or a series of quick edits. Always use a continuous excerpt so we see how it unfolds. If you want to show several pieces, divide it across multiple samples. No Guarantees: Following all these rules still won’t guarantee that you get the grant. However, great work samples could stick with judges after the meeting: work that doesn't receive an award can go on to be curated, programmed, and funded. So remember, great work samples can do more than make great applications. Westport Country Playhouse seeks an innovative and dynamic Director of Marketing & Audience Development (DMA) to join our team. The DMA leads the organization’s marketing, public relations, communications, and audience development efforts to maximize earned and contributed revenue. Managing a team of three full-time employees and one part-time employee, the DMA will plan, direct, and implement the marketing, communications, and public relations efforts for all of Westport Country Playhouse’s programs and season productions. The DMA reports to Managing Director Michael Barker, and works with Artistic Director Mark Lamos, as well as the General Manager, Director of Development, and Director of Finance. The Director of Marketing responsibilities include, but are not limited to: Earned Income Marketing & Communications: Plan, direct, and implement the marketing, communications, and public relations efforts for all of the Playhouse’s programs and productions as well as oversee marketing for all education and family programs. Fundraising Marketing & Communications: With DD and MD, plan, direct and implement the marketing, communications, and public relations efforts for all of the Playhouse’s fundraising programs. Strategic Planning: With the MD, GM, AD and Board of Trustees, determine strategic direction for the organization. Oversee audience research and overall organizational branding. Patron Services: With the GM, Box Office, and Front of House staff, assure top notch customer relationship management and customer service. Audience Development: Lead initiatives directed towards cultivating new audiences via special programming as well as building community relations. Other responsibilities include the areas of Group Sales, Publications, Social Media, Management of the Marketing Department, Budgeting and Sales Reports and Analysis. Qualifications include: a proven track of 5+ years leading and/or managing a Marketing team, preferably in a not-for-profit arts setting; ability to work toward multiple goals concurrently, including support for both contributed and earned revenue campaigns. For full job description and application details, click here. The Writers Block Ink, Inc. transforms youth and communities through the arts. Its primary mission is to arm young voices with the power of pen and prose, reinforcing teamwork, accountability, and responsibility to ignite social change on the page and stage. Young people create and perform their own works running the full spectrum of creative arts (writing, dancing, singing, visual arts, etc). Through inspirational leadership, operational management and community and stakeholder engagement, the Executive Director will grow Writer’s Block Ink’s (WBI) presence, partnership, revenue and participants to ensure the organization delivers on its goals and realizes its mission to develop young leaders who create social change through the arts. Specifically, the Executive Director acts as the key fulcrum and liaison between students, staff, WBI’s board of directors and the community—engaging, inspiring and motivating all stakeholders, and positioning the organization to play a leadership role amongst arts organizations locally and beyond. The ED is responsible for operations, brand, fund and partnership development, leadership development, and programming oversight for both the team and students. Ideal candidates have an authentic passion for social justice and the arts, are equally strong in operational management, community engagement and talent development/people management, with direct experience fundraising and leading teams. For detailed job description,click here.